ProgressMonitor monitors the progress of the operation. Displays in percentage of completion of the operation. 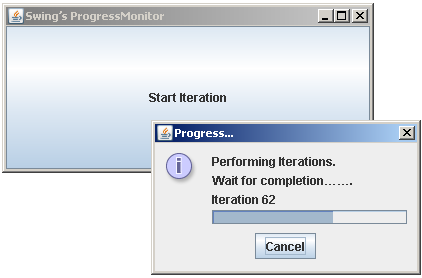 Two methods of ProgressMonitor are used: isCanceled() and setProgress().